Sherry Mesa THE Salon makeover. I created this plan because I wanted to help brides and couples who just got engaged and for that congratulations! I answer top questions and concerns, a timeline that is flexible, and tips to better prepare and what to expect. Book your wedding day with your artist and stylist. Trials are highly suggested but not required. Be prepared for a deposit that is non refundable. Provide the maximum count of people that may need makeup and hair for the day. Bridesmaids, MOH, and MOB. For your hair and makeup services share your inspirations and color theme. Discuss with your colorist what color, cut, and styling is desired. Continue to go to your brow expert. You don’t want to lose your brows while receiving a new service from someone you don’t know there style. Begin a manicure/pedicure regimen to learn your favorite nail professional, if you don’t already have one, to avoid undesired, damaged nails. Begin an eyebrow waxing/threading/tweezing service booked 2 weeks apart if not closer, depending how fast your brows grow, to prevent unpleasant brow surprises. Your microdermabrasion session at this time provides enough time for cell turnover, recovery, and skin care regimen to be consistent. any skin services done within a month closer to date of wedding may impact the finished makeup look. Skin recovery is subjective to every individuals lifestyle and results differ. I am not liable for any dissatisfaction. Peeling is expected. 1-2 weeks out: Relax and cheers to you! Hair color at this time holds a beautiful tone and ends feel soft, bouncy, and it’s picture perfect. Facials are perfect at this time for vibrant-clear skin. Take time to get everyone of your bridal party together to get beautified before the big day. Receive your itinerary from Marlene for the day of. A.M. Wedding Day: Eat your breakfast! Stay hydrated, carry snacks, and make time to eat. Have someone with you for accountability if you need it. You risk getting light headed, sweaty, and bloat faster by avoiding food and hydration. Hair 100% dry. Washed over 24 hours. Natural oils help keep the hair in place. Maintain your skin care regiment. Enjoy the day with your loved ones. We prepare the timeline to give you an hour and a half of free time post makeup and hair. For selfies, outfit changes, and travel to the next location. Xoxo. 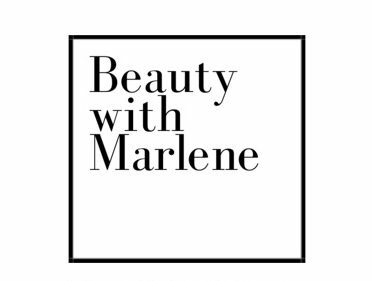 Location Greater Palm Springs, CA Phone (760)615-6548 E-mail beautywithmarlenemua@gmail.com Hours RSVP for Appointment.